Londoners, this is your mission should you choose to accept it! Channel your Tom Cruise and have a crack at doing THAT infamous Mission; Impossible jump yourself. Gather up some office mates and head down on Friday. 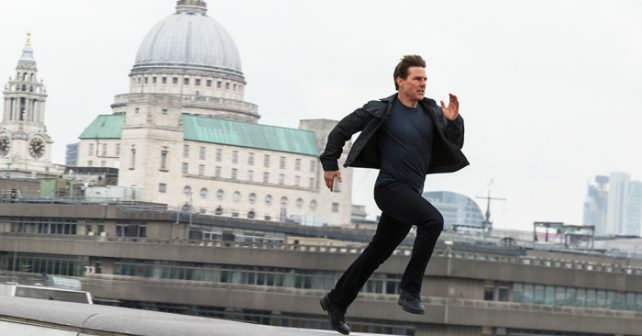 Everyone will take a 30 foot run up before leaping six metres to try and make the other side; the same distance Cruise’s character Ethan Hunt jumps. It’s FREE to jump and everyone who makes it also takes home a FREE copy of the film on DVD or Blu Ray. Best of all there’ll be a green screen behind meaning it’ll look like you’re a movie star when you leap so you can also take home a video of your jump. It’s all to mark the DVD release of Mission: Impossible – Fallout on DVD and blu-ray. Britain’s long jumping champion Greg Rutherford will be launching the day and each participant will automatically be entered in to a competition to win a personal training session with the Olympic hero. So it’s a potential double win! Book to be certain of your place or rock up on the day. Oh yes – obviously – you will be attached to a safety harness! FREE – To book your spot email MiFalloutLongJump@premiercomms.com. There’ll also be first come first served available spots on the day.